You are visiting an organization which has developed MORE THAN ONE THOUSAND TOOLS for development sector. This tool can help the child in efficiently solving the mathematics equations of addition, subtraction, multiplication and division. This can also be played for word making, or counting up to 999 etc. Our network spreads out to - Delhi, Mumbai, Kolkata, Chennai, Bengluru, Raipur, Patna, Ranchi, Bhopal, Dehradun and many other cities in India. 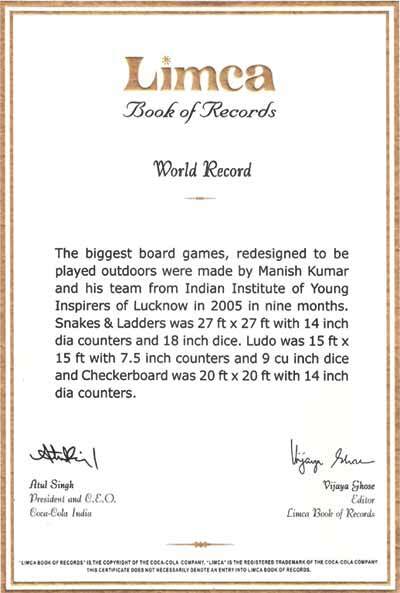 2006 - 2019 © Copyright, Innovations, Lucknow. All rights reserved.